Maintain and showcase Durham's unique character and assets as corridor changes dramatically. Increase spending in arts venues, hotels, restaurants, shops and bars. Encourage private developers to invest in public art and artscape plan. The Durham SmART Initiative focuses on transforming the North/South Corridor of Blackwell/Corcoran/Foster Streets through creative place making. The SmART Vision Plan for Durham is a multi-year, $10 million public art and urban design strategy. Durham is one of four communities chosen to be part of the North Carolina Arts Council’s SmART Initiative, which supports arts driven economic development projects that transform downtowns. The Durham Arts Council is the local lead agency for the Durham SmART Initiative. The City of Durham is a key partner along with vital support from Durham County and other major funders. 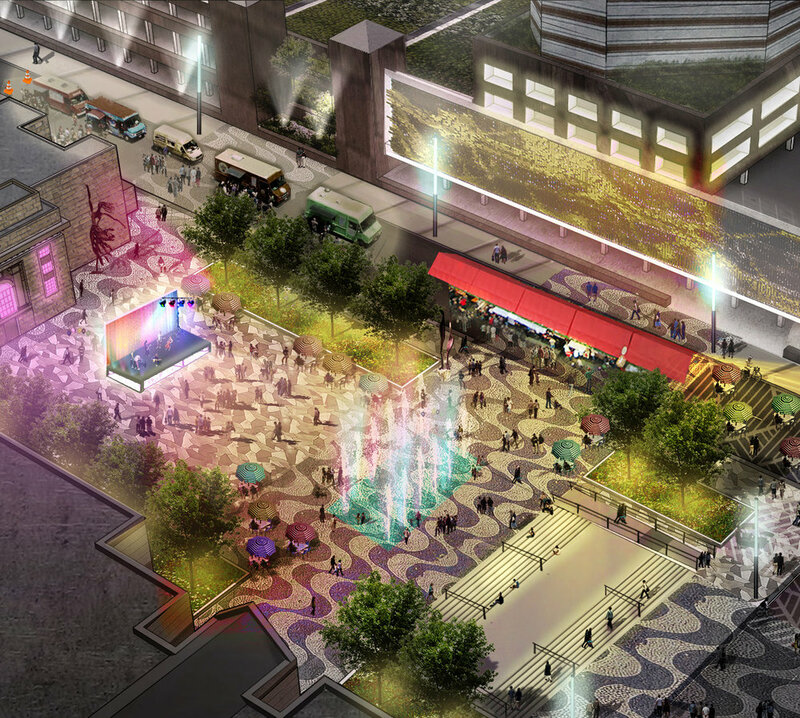 Internationally renowned landscape architect, urban designer and public artist Mikyoung Kim completed an Artscape Vision Plan for the Durham SmART Initiative in 2015 as a framework for a reimagined downtown Arts & Entertainment District. 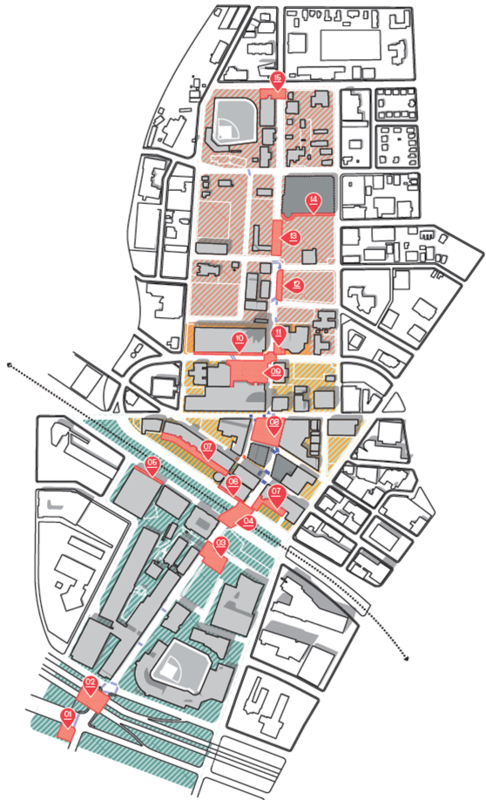 Mikyoung Kim’s community design process, involving over 200 community members and businesses, focused on this prominent north-south corridor with deep historic/cultural roots. The plan connects 3 distinct districts along the corridor – American Tobacco, City Center, & Durham Central Park respectively. Improved pedestrian access and artfully designed public spaces will support arts based events & greater participation for residents and visitors in this rapidly transforming city.